The California-based Hertz Investment Group has made another real estate purchase in the Richmond region, this time in the Central Business District. Hertz is the new owner of Riverfront Plaza. The two-tower, 22-story, Class A office complex is located downtown next to the James River. Privately held Hertz purchased the 951,897-square-foot property for $147.5 million from Hines, a private international real estate firm, which acquired Riverfront in 2006. According to Hertz, Riverfront Plaza is currently 72-percent leased. The tenant mix includes the Hunton & Willliams law firm, BB&T Corp. and BB&T Scott & Stringfellow. The company first entered the market in 2012 with a purchase of 400,000-square-feet of suburban assets in Chesterfield County, in the Moorefield and Boulders Office Parks. Riverfront Towers represents its first buy in the city’s Central Business District. “We’re excited and very bullish about downtown Richmond. We’re excited to purchase best-in-class assets,” said Michael Morgan, Hertz’s vice president, leasing, for the Southeast U.S.
Riverfront Plaza, located in the 900 block of East Byrd Street, sits adjacent to the Federal Reserve Bank of Richmond and is four blocks from the Supreme Court of Appeals and the U.S. Court of Appeals. CBRE|Richmond has served as the building’s leasing team and will remain as the leasing agents under Hertz, Morgan said. Hertz owns more than 20-million square feet of office space in 20 cities across 15 states. 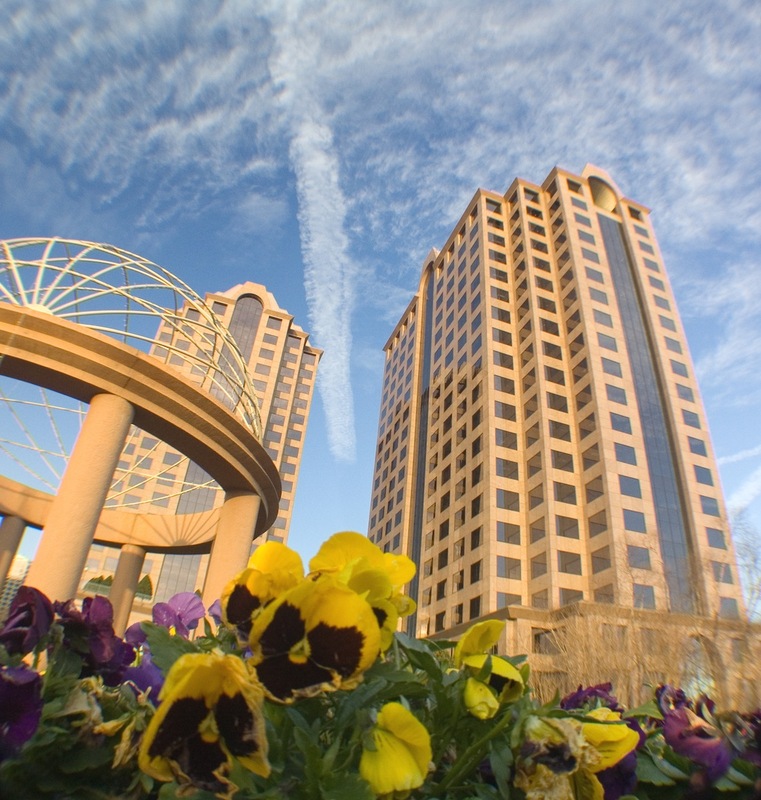 Riverfront Plaza’s sale is one of several downtown towers that have changed hands recently. Earlier this month, New York-based Lexington Realty Trust bought the 18-story, 307,000-square-foot Gateway Plaza at 800 Canal St. for $104.5 million. The sale by Clayco, a developer based out of Chicago, had been announced at the beginning of the project when Lexington gave Clayco a construction loan. The building, home to the McGuireWoods law firm, opened in May. The Williams Mullen Center at 200 S. 10th Street also is set to be sold. Armada Hoffler Properties Inc., the developer of the 15-story tower, plans to sell the property for $78 million to an undisclosed buyer in a transaction expected to close in the first quarter of 2016.